Abbreviated dialing is very useful for users who still have trouble dialing a contact number. In this app you can add an unlimited number of your important contact and add a widget on the home screen. 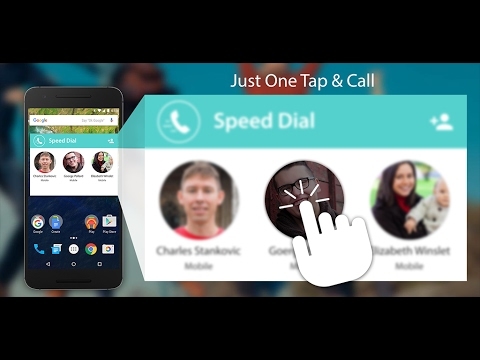 In one click, you can call your loved one. + A simple click on and perform the following actions: phone call, SMS, WhatsApp message, WhatsApp call, Skype call, Facebook email, Google Duo Video call. + Choose what to do by pressing a contact twice or twice, such as Call or Message. + You call and send a message to all your selected contacts from the Home screen using the application widget. + Classify your contacts into groups like family, business, friends, etc.